Social media is always becoming more intuitive, more targeted and more helpful. Foursquare’s newest feature (thanks to a partnership with OpenTable) means that instead of adding a restaurant or diner on your Foursquare to-do list, you can now simply make a reservation at the restaurant on the mobile app. While this feature is really helpful, only 25,000 restaurants currently allow online booking through OpenTable (which isn’t a bad start). 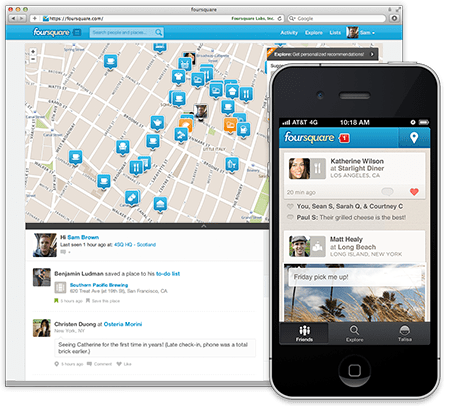 Participating restaurants will have a “Make Reservation” button on their Foursquare pages, so all you need to do is press the button and fill in your details. In-app reservations like this makes the process seamless and it also speeds up the entire purchasing decision. As I’ve said before, generation Y doesn’t like talking on their smart phones (they use it for everything besides making calls) and this new feature eliminates the need to make a call to a restaurant. This is a new feature on Foursquare, but Yelp (which focuses more on reviewing and rating services) has been using OpenTable for online bookings since 2010. The way social, mobile and location services are able to integrate with each other and connect people, brands and services, is becoming more important for digital marketers and companies who are looking for new ways to build their online communities, sell products and engage with their target audience. It’s simply not enough to have a website or a mobi site, you have to make it easy to do business with you.